Are you facing challenges in your access to the Silver Economy market? 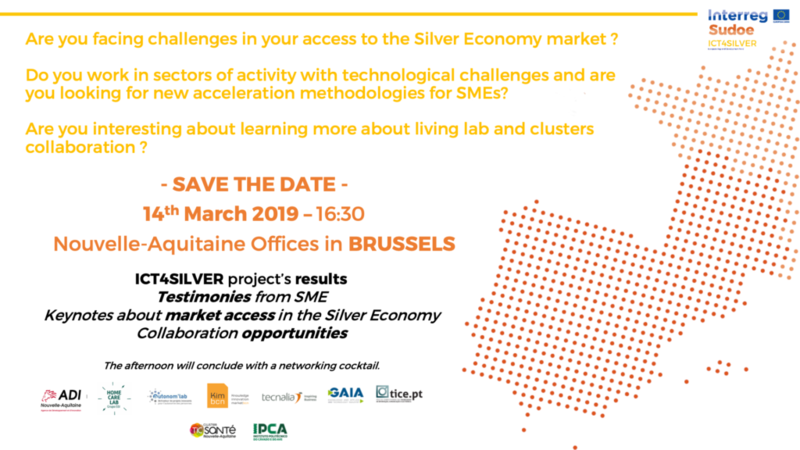 Do you work in sectors of activity with technological challenges and are you looking for new acceleration methodologies for SMEs? Are you interesting about learning more about living lab and clusters collaboration?